Carrie H. Kennedy Eric A. Zillmer - Carrie H. Kennedy, Ph.D ABPP is a neuropsychologist with specialization in operational and aeromedical psychology and is board certified in both Clinical Psychology and Police and Public Safety Psychology. An active duty Captain in the U.S. Navy, she has deployed to Cuba and Afghanistan. She is an Assistant Professor of Psychiatry and Neurobehavioral Sciences at the University of Virginia and a Fellow of both the National Academy of Neuropsychology and the American Psychological Association. 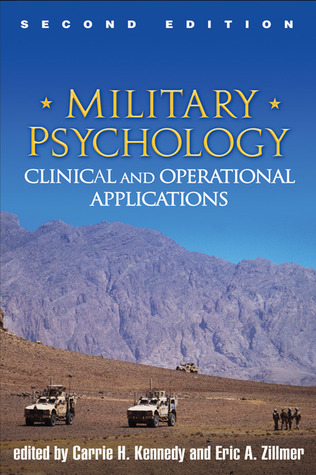 She has been named Navy Psychologist of the Year twice and was the 2012 recipient of the Division 19 (Military Psychology) Charles S. Gersoni Award.